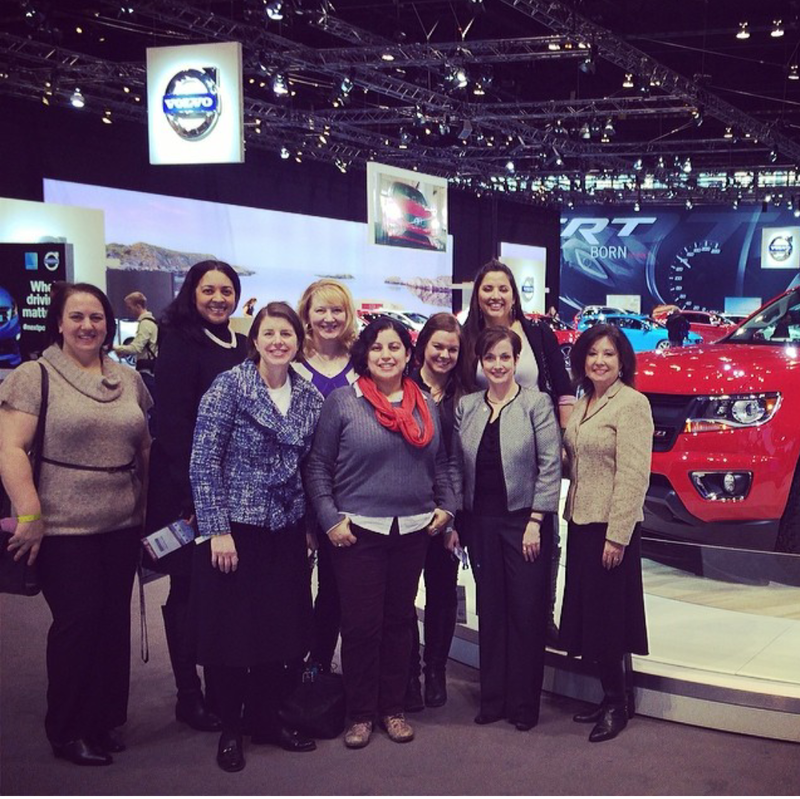 During the Chicago Car Show I participated in a GM social media event. We were given a tour of the show before the public had a chance to see the cars and we went to lunch with Anita Burke, the Chief Engineer for the Mid-Size GMC and Chevrolet new trucks. While it was an event for social media influencers, I attended as I know some of the students I work with would benefit from any connections to GM I could create. This was another instance of where I try to leverage all the awesome doors social media opens for me for my students. I say all of this as a disclaimer to the rest of the post. In the thank you email I received from GM for attending their event, they also invited me to test drive a car for a week. Normally I turn these down as living in Chicago means parking any extra cars on the street. On our permit-only street. What a hassle. But my family and I were planning a quick trip down to Starved Rock and I figured I would give it a shot. We ended up test driving a Chevrolet Impala in a beautiful shade of blue. OMG, it was so much bigger than our Prius. I hadn't driven a car that big since the Mercury Sable my grandma gave me (she bought a new car & thus gave me the car should have traded in). Suffice to say, after a week we all ended up enjoying the car. And the week we had the car, Chicago experienced all the seasons, so FAB week to be test driving a car. * Smooth driving. I live in Chicago. We've had a record craptastic winter. There are potholes eating cars. But we drove like a boss the past week. We didn't drive through the streets like we didn't need to slow down, but when we couldn't avoid a pothole, it didn't sound as if we were killing the car. And on the highway to Starved Rock, it was AWESOME. * XM radio. We naturally station jump, so having even more stations to jump to was a lot of fun. You can also file XM under a con considering that it was distracting to one of the adults in the car. * Our small city garage looked too small for this baby. Honestly we didn't even try it, but we know we have 10" to give with the garage, so we didn't want to risk harming the test drive car. * Compared to our Prius, this was a gas guzzler. I know, I know, pretty much anything compared to a Prius is a gas guzzler. And while the GM tour guide made a snide remark about those of us with Toyotas not caring about style, I will say that after 9 years of sipping gas, it is a very hard habit to break. Wallet & environment > style. The car also had rear view camera assistance and almost no view from the rear window, meaning that we *had* to rely on the camera assistance. OMG, this is soooo hard to get use to. But after a week we did. In fact, there are moments when I think, "Oh, I wish I had that camera!" The beauty of the rear camera is that when you are backing out of a parking spot, it shows you the trajectory you are moving in and if there is anything in your path. Would I buy this car? Maybe. I'm not a power-car gal, so the fact that we could go zero-to-superfast in a blink of an eye is not a selling point for me. But if it is for you, then check this car out. Full disclosure: My husband and daughter were super sad to see the car go back to GM. They really liked it.